The charm that a luxury cruise vacation has to offer is simply undeniable. However, not all cruise lines offer you with the perfect luxury cruise that you dream of while booking your cruise vacations. Almost any ship should offer you with modern day amenities and luxuries, but there are very few cruise lines that actually offer you with “real luxury”. You need to understand that real luxury doesn’t come with crowds and popularity. It comes with attention to the minutest details, excellent service and outstanding food and accommodation. OROGOLD examines some of the top luxury cruises in the world in this article. Apart from offering you with all-inclusive rates, the Regent Seven Seas Cruise also provides exciting promos like 2-for-1 deals. It definitely has the standard services like open bars, exceptional meals, airfare and gratuities; but it also offers you with truckloads of extras such as 24-hour room service, exclusive butler service and unlimited excursions. Each of the ships offer you with L’Occitane bath products, exclusive Canyon Ranch SpaClubs, amazing discounts on the best liquor, Hermes amenities and in-room iPads. The excursions offered by the Regent Seven Seas Cruise are one of its main highlights as well. The 18 night Barcelona – Rio de Janeiro Cruise is one of the best cruises that this exceptional cruise liner has to offer. The Cunard is most famous for the transatlantic cruises that it offers on its flagship Queen Mary 2. 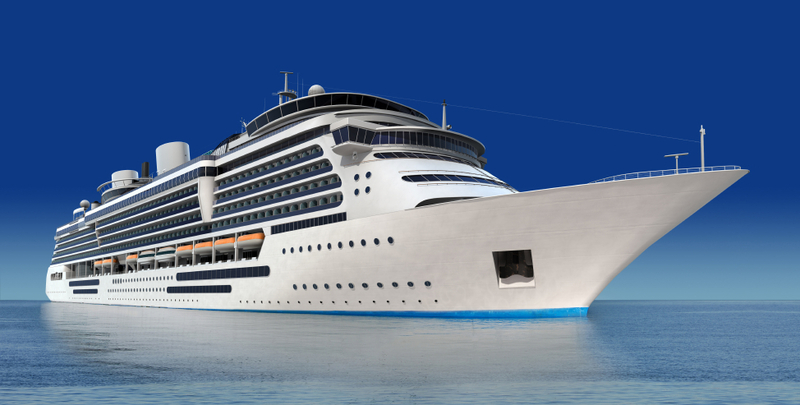 This luxury cruise line is all about creating a sense of style and elegance the classical way. From white gloved waiters and formal dinners to exquisite dining and amazing social occasions, the Cunard has it all. But what makes it so different is that Cunard manages to make everyone feel at home. Crystal cruises recently started providing customers with all-inclusive packages and joined the ranks of one of the most luxurious cruise liners in the world. Both its ships, the Crystal Serenity and the Crystal Symphony feature all-inclusive deals which include airfares, complimentary wines, non-alcoholic beverages, round the clock dining and special perks like fitness classes, shuttle services in port towns and golf classes from PGA pros. Guests who book the penthouse suites are also offered the services of a personal butler. The Crystal Cruises trains its crew to anticipate your needs and remember your preferences. It includes unique amenities like Frette bathrobes, nightly turn-down services, fresh flowers and excellent enrichment programs and classes. One of its most amazing cruises is the 98 day tour along the Pacific Rim. Uniword recently won the Best Luxury Ruver Cruise Line Award and it is particularly known for its over-the-top opulence. Its flagship cruise liner Antoinette offers high-tech staterooms which include glass balcony panels, heated swimming pools, a cinema and Titan’s exciting door-to-door service. Silversea Cruises prides in its ultra-sophisticated and personalized cruising options and offers guests with all-inclusive packages that include transfers, airfare, pre-cruise lodging in exciting hotels, personal butlers, special activities and dining. The cruise liner also provides amenities like Bulgari bath products, ocean-view suites and Egyptian cotton linens. The ships hold a few hundred passengers and visit some of the most exotic destinations on the planet such as Denmark and South Africa. Silversea is particularly famous for its unique excursions like those riverboat expeditions to remote orang-utan sanctuaries in Borneo. The Seabourn Cruise Line is known to rank among one of the finest cruise lines in the world that delights itself in catering to the most cultured and experienced travelers. The cruise line offers all-inclusive features like airfare, drinks, award winning meals and enrichment lectures. The smaller size of its ships means that the Seabourn Cruise Line can also offer trips to more exotic locales like Mumbai, Phuket, Chile and Argentina. Each room is also stocked with your favorite wines and spirits and each shore excursion is famous for offering outstanding experiences. The most exciting all-inclusive features offered by Seabourn are its “Caviar on the Beach” party, wine tastings, on-deck massages and complimentary water sports.